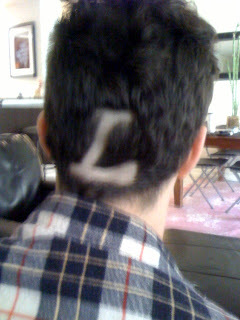 Sauce shaved an "L" in the back of his head for the LAKERS. Grandma Leona has the spirit. She got us LAKERS bagels.